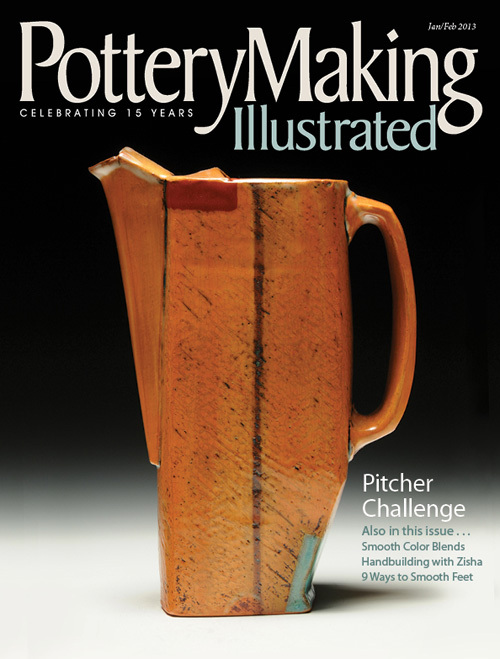 Above is a pitcher of mine on the cover of the January/February issue of Pottery Making Illustrated. 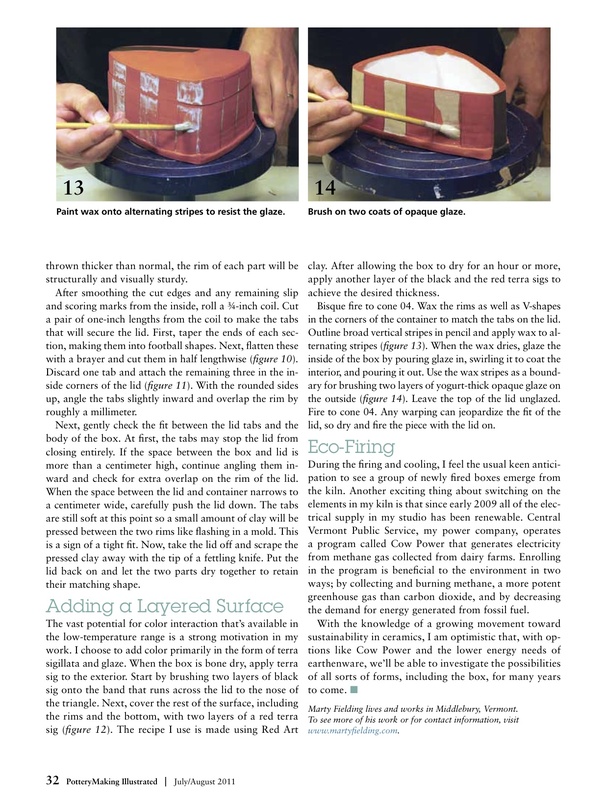 The article, “The Pitcher Challenge” was published in this issue. The article is available to read here. Thanks to Charlie Cummings for his photographic prowess. 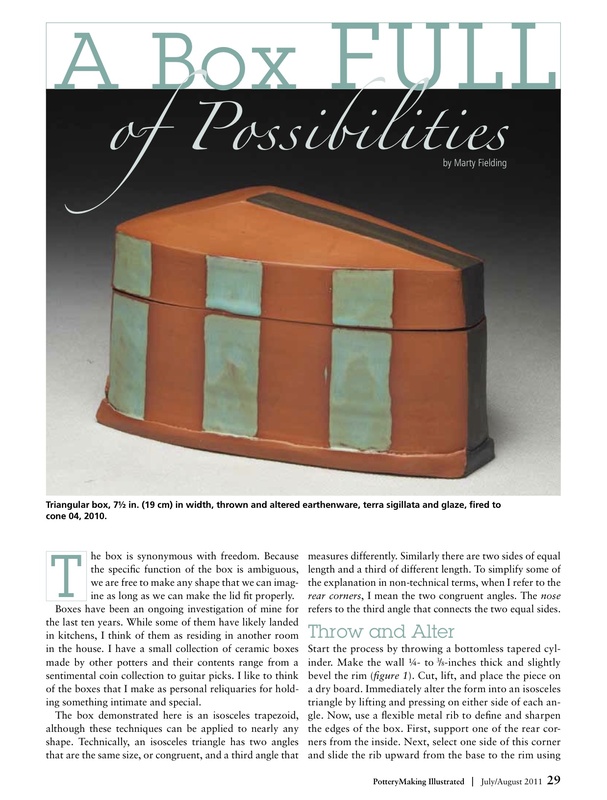 Below is an article I wrote for the July/August 2011 issue of Pottery Making Illustrated magazine. 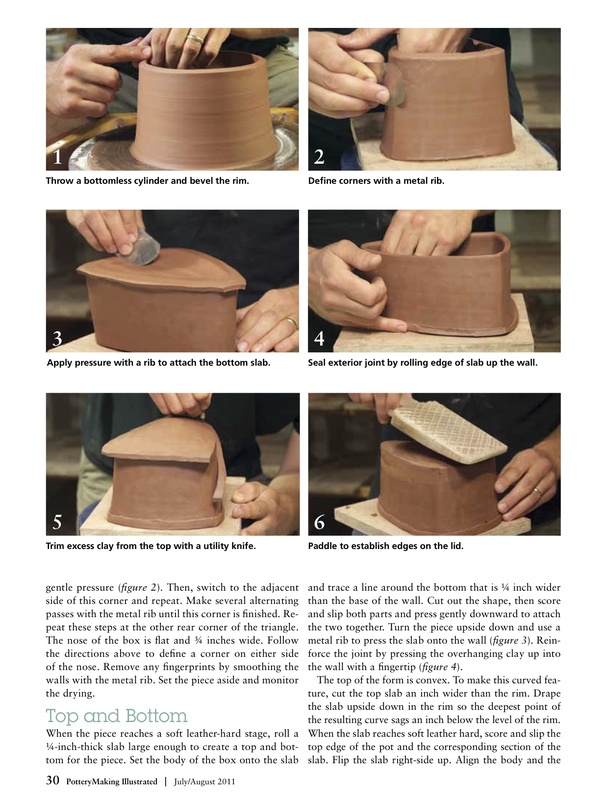 Thanks to Niel Hora for his proofreading skills and Fred Lower for photographing the process. 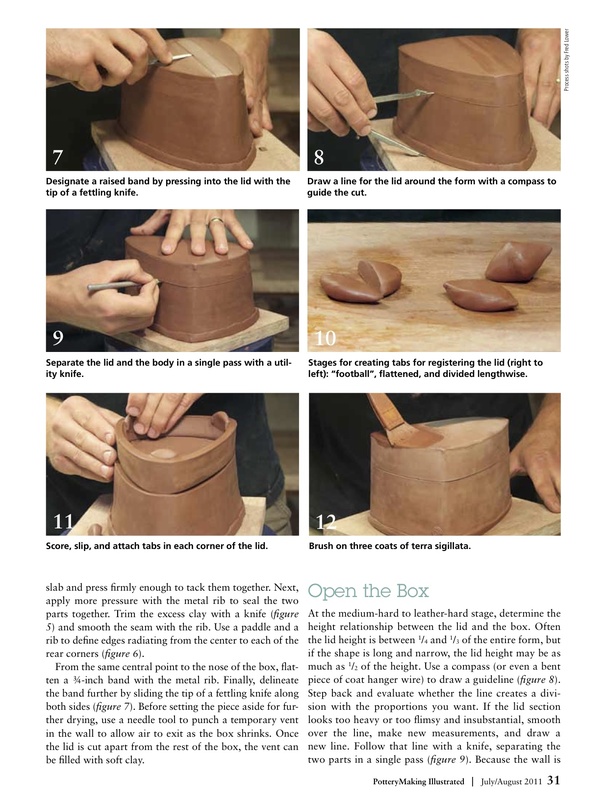 upon returning home began work on boxes – it’s wonderful to attend a workshop and be so inspired. So happy to see this article! Thanks for sharing! I use your oil pot daily to dress my salad and I just love it! It pours so well and feels soooo good!